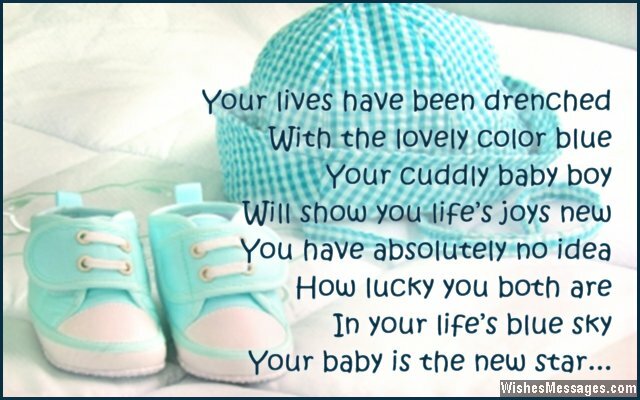 Congratulations for baby boy: Write a sweet poem on a card to send your best wishes to a couple for the birth of a baby boy. Since it is a boy, make sure your greeting has a splash of blue. If the husband-wife couple are your close friends, colleagues or family members, mark the whole first week of their parenthood with cute texts, delightful emails, Snapchat messages and warm posts on Facebook. Becoming a mother and a father is a beautiful moment that the couple will remember for the rest of their lives. Your wishes will go a long way in taking their happiness to a whole new ecstatic level.